Napoleon Bonaparte, 19th century. 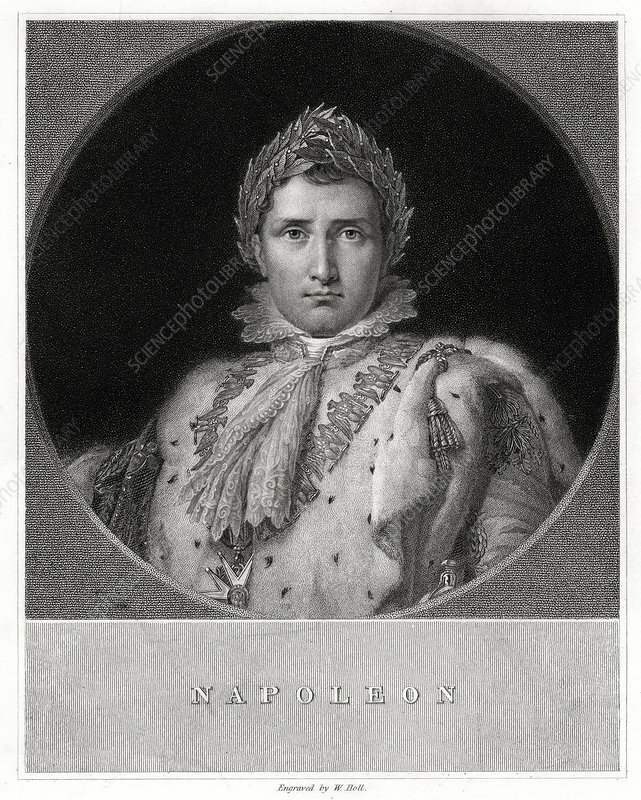 Napoleon I Bonaparte (1769-1821), Emperor of France from 1804. Napoleon enjoyed a meteoric rise through the ranks of the French Revolutionary army. In 1799 he led a coup to overthrow the government, the Directory, and became first consul and effective dictator of France. In 1804, he declared himself Emperor, and embarked on a series of military campaigns across Europe, the Napoleonic Wars. Victories such as Austerlitz and Jena led to France establishing its power across much of the continent. In 1812, however, Napoleon embarked on a disastrous invasion of Russia and defeat at Leipzig in 1813 led to his abdication and exile to Elba. He ecaped in 1815, raised another army, but was finally defeated by Wellington at Waterloo, and exiled again to St Helena. Artist: W Holl.